ABC Learning limited was one of the largest childcare centres in Australia. It was listed in the Australian security Exchange with market capital of over AD$2.5 billion as of March 2006. Severe problems were faced by the company when the country was facing the recession period which caused the debt repayments to overwhelm the organization behaviour. A voluntary liquidation process was carried out in the year 2008 and the company was later sold in the year 2009[ CITATION Cal16 \l 1033 ]. Various reasons like the lack of transparency, damages while performing liquidation, poor management of the organization and ethical issues in relation to the corporate governance structure of the organization were the main cause of the collapse of ABC Learning limited. The report further analyses more factors that may have collapsed the company by leading it to bankruptcy. Poor strategic planning and inorganic expansion of the organization was becoming a huge risk because of which leverage was observed in the business of ABC Learning limited. The company constantly tried to expand because of which it applied for huge bank loans which exceeded the capacity of repayment[ CITATION Coc17 \l 1033 ]. Inadequate operations were carried out by the organization which was not profitable economically. The management and the board of the company were also not having the capability to expand beyond the national boundaries because of which they were not able to fulfil the needs of the childcare industry. It is one of the major duties of the organization to train and develop the workers in the childcare so that the best services can be provided to the customers. The company was not at all competent towards training its employees because of which quality of the service was damaged[ CITATION Das16 \l 1033 ]. The most important and the biggest reason for the collapse of ABC Learning limited voice the failure of the corporate governance structure and the ethical issues. All the information portrayed in the financial accounts was false because of which the decision-making process of the shareholders was obstructed. The damage was also faced by the organization while the liquidation processes were carried out by the company. It was said to damage more than 123 Global Group of Companies. ABC Learning limited was one of the best learning centres situated in Australia. A huge part of the population was connected with the organization for the services provided by it. After the collapse of the organization, a lot of problems were faced by the public in terms of the education services[ CITATION Joh14 \l 1033 ]. The creditors of the organization were also very afraid because of the liquidation process that took place in the organization. A market capital of AD$4.1billion was invested by the shareholders which changed to $296 million after the shares were suspended from trading at 54c. Hence, it can also be stated that a useless was suffered by the shareholders and investors of the organization because of the collapse of the organization. Also, the company was reported to have more than 16000 staff employed that was left unemployed after the collapse[ CITATION Lou10 \l 1033 ]. The Organisation was also said to have bank loans which amounted to more than AD$1.6 billion which was not repaid because of the collapse. The main person behind the collapse of ABC Learning limited was Eddy Groves. He was not able to maintain the ethicality of the accounts of the organization which is the main reason behind the collapse of ABC Learning limited[ CITATION Mat15 \l 1033 ]. It was observed that the organization was indulged in a lot of third party related transactions which included sponsorship to basketball teams and funds provided to the brother of CEO for the maintenance of the ABC centres. The accounts of the organization were also not appropriate and were said to contain a lot of false information which may have to lead the investors to invest in their equity capital. This was a very crowded act of the company which was not at all ethical in nature. A lot of insider trading and the misleading financial information were being reported by the organisation because of which the company was not able to earn considerable revenue[ CITATION Pin17 \l 1033 ]. Further, the Organisation was also not able to fulfil the Corporate Social Responsibility (CSR). Therefore, the ethical issues and the unfulfilled social activities were stated to be the reasons behind the collapse of the organization. A lot of misleading facts in the organization's accounting data was observed because of which the shareholders were not able to conduct the decision-making process in a proper manner[ CITATION Pip15 \l 1033 ]. The management of the organization was also not working in a proper manner because of which the revenue of the organization declined in the last few years of the organization. No measures of risk management strategies were adopted in order to safeguard the firm from any kind of problems that can be faced by it and future. Hence, a lot of vulnerabilities were present in the corporate governance structure which is also one of the major reasons for the fall of ABC Learning limited. After the assessment of the audit report, it can be clearly stated that the auditors for not acting ethically while assessing the financial accounts of the organization. A lot of fundamental flaws were observed in the financial accounts of the firm which have stated the revenues, profits and other figures to be false. When the accounts of the organization were handed over to the new auditing firm known as Ernst and young, information was disclosed that the accounts of the organization were highly manipulated. This made necessary for the organization to give importance to the financial statements so that they can be reconstructed[ CITATION Rob14 \l 1033 ]. Hence, if the audit process was carried out in a disciplined manner, the organization wouldn't have suffered many problems. After the clear analysis of all the mistakes made by the organization which has led to becoming non-existent in the market, it can be clearly noted that the companies should work ethically in order to gain competence over the market. All the financial statements of the organization should be maintained in the best possible manner so that it can be used by the shareholders and investors for the purpose of decision making[ CITATION Sim12 \l 1033 ]. The debt to equity ratio should also be uncertain from time to time so that the expansion projects of the company can be evaluated on the basis of the revenue earned by it. A proper corporate governance structure should also be established in an organization so that risk management strategies can be utilized and future plans can be constructed. After the clear analysis of the report, it can be stated that even well-established firms may face downfall if the problems are not treated in the correct time and with correct measures. 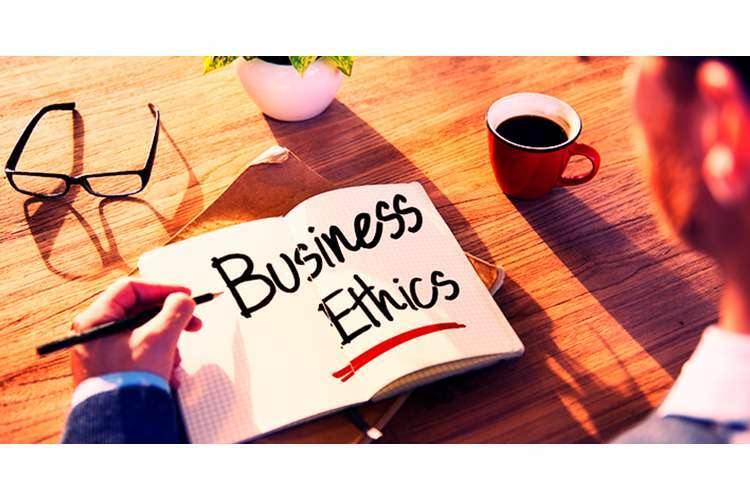 Also, it should always be kept in mind that necessary ethical and corporate governance values should be utilized by the organization while carrying out managerial economics activities. Hence, the organization should always work in accordance with the fundamental principles while conducting its day to day processes. 1. Calderon, T., Song, H., & Wang, L. (2016). Audit deficiencies related to internal control: An analysis of PCAOB inspection reports. The CPA journal , 86(2), 32. 2. Cochran, C. (2017). Internal auditing in plain English. Chico, California: Paton Professional. 4. Johnstone, K. (2014). Auditing. Mason, OH: Cengage. 5. Loughran, M. (2010). Auditing For Dummies? Hoboken, NJ: John Wiley & Sons. 6. Mat Zain, M., Zaman, M., & Mohamed, Z. (2015). The effect of internal audit function quality and internal audit contribution to external audit on audit fees. Internal Jouranl on Auditing , 19(3), 134-147. 7. Pincus, M., Tian, F., Wellmeyer, P., & Xu, S. (2017). Do clients enterprise systems affect audit quality and efficiency? Contemporary Accounting Research , 34(4), 1975-2021. 8. Piper, M. (2015). Accounting made simple. United States: CreateSpace Pub. 9. Robinson, T. (2014). Business accounting. New York, NY: Prentice Hall. 10. Simpson, M. (2012). Financial accounting. Basingstoke: Macmillan Press.